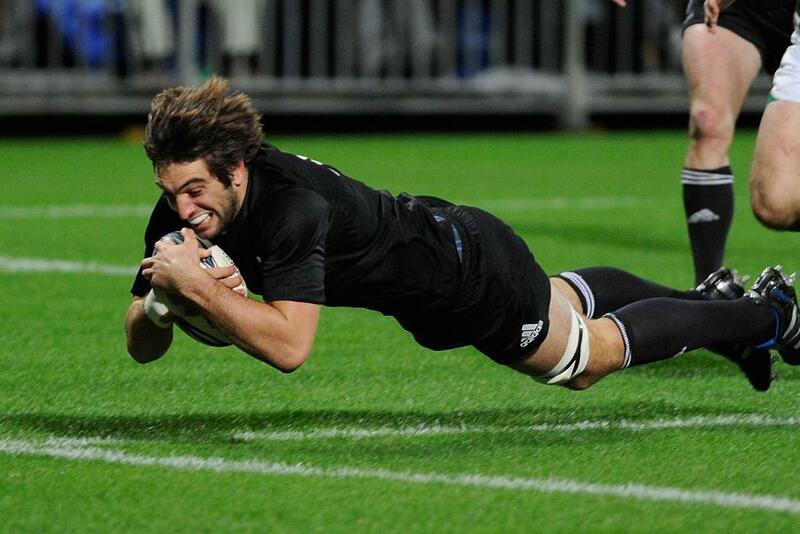 Sam Whitelock becomes the first World Rugby U20 Championship graduate to reach 100 tests in New Zealand's opening Rugby Championship victory over Australia in Sydney. Ten years ago Sam Whitelock was enjoying success with New Zealand at the inaugural World Rugby U20 Championship in Wales and on Saturday the All Blacks second-row became the first graduate from that premier age-grade tournament to reach the milestone of 100 test caps. Whitelock became his country’s eighth – and youngest – centurion after Richie McCaw (148 tests), Keven Mealamu (132), Tony Woodcock (118), Daniel Carter (112), Kieran Read (109), Ma’a Nonu (103) and Mils Muliaina (100) when he ran out for the Rugby Championship opener in Sydney wearing special boots adorned with 'SW 100' in gold. The 29-year-old helped New Zealand win that inaugural title in Cardiff in June 2008 as part of a team that included Aaron Smith and Ryan Crotty who lined up alongside him against the Wallabies at ANZ Stadium. Whitelock made his test debut for the All Blacks on 12 June, 2010 when he came off the bench to score two tries (the first pictured right) in a 66-28 defeat of Ireland in New Plymouth. His first nine caps were all off the bench before a first test start followed against England at Twickenham that November. New Zealand have sat atop the World Rugby Rankings for the duration of Whitelock's test career which in the eight years since his debut have seen him establish himself as a one of the world’s best second-rows, forming arguably test rugby’s strongest pairing with Brodie Retallick for nearly half of his caps, and has lost just eight of his 100 tests in the All Black jersey. He has missed just 12 of the All Blacks tests played since his debut and has had the honour of captaining his country on four occasions, against Wales in Cardiff last November and the series success against France in June, the latter playing in the same pack as brother Luke – another World Rugby U20 Championship winner as captain in 2011. Named the New Zealand Player of the Year in 2017, Whitelock’s CV is comparable with the greats of the game with two Rugby World Cup victories, one Tri-Nations and five Rugby Championship crowns as well as captaining the Crusaders to back-to-back Super Rugby titles in 2017 and 2018. His Crusaders coach Scott Robertson has labelled Whitelock as “extremely calm and very clear in delivering his message” and that “he relates to everyone, regardless of their background or experience” while former All Black Craig Down labels him “a superb leader”. “He’s been an outstanding contributor to the team for a long time, both on and off the field,” said All Blacks coach Steve Hansen this week. "Him leading by example rather than voice is the way he goes about things"
All Blacks teammates pay tribute to Sam Whitelock ahead of his 100th Test this weekend. Whitelock is one of 38 players who have gone from the U20 Championship stage to play for the All Blacks, 14 of whom were involved in the match-day squad for the first Bledisloe Cup test of the year and scored all the points in the 38-13 victory with Beauden Barrett, Jack Goodhue, Brodie Retallick, Aaron Smith and Waisake Naholo (2) try scorers. Australia fielded 13 of their own 48 graduates, including Will Genia, captain Michael Hooper and Rob Simmons who join Whitelock among the five most-capped graduates and could all join him as centurions in the next 15 months, injury permitting. Australia also created the 608th U20 Championship graduate in Jack Maddocks who, like Whitelock eight years earlier, marked his test debut with a try.